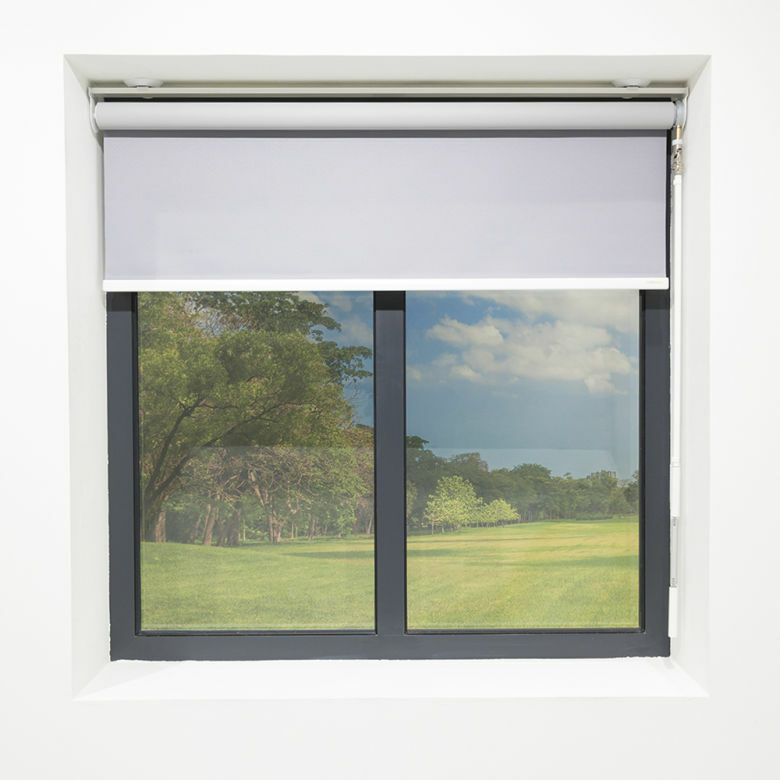 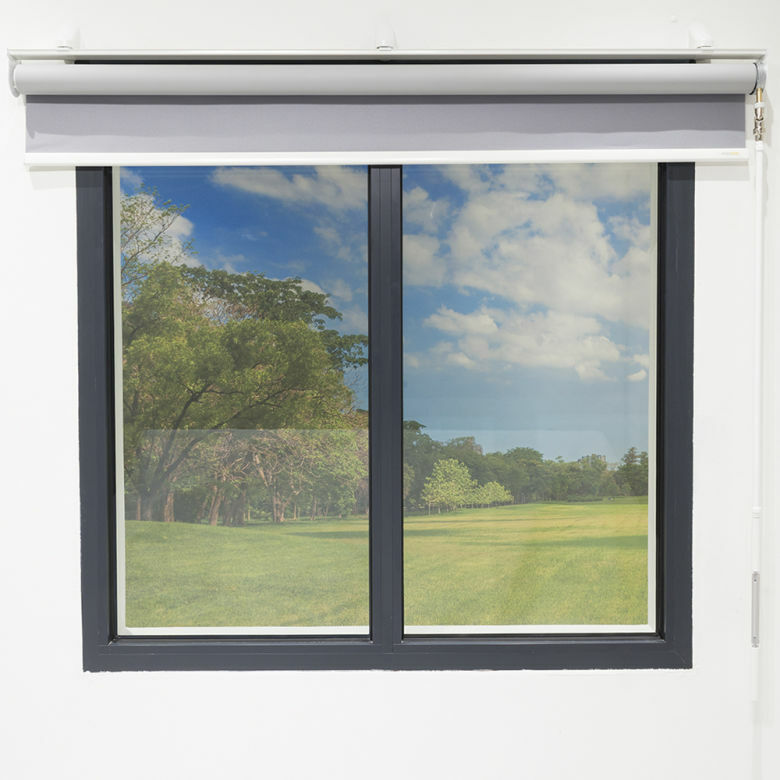 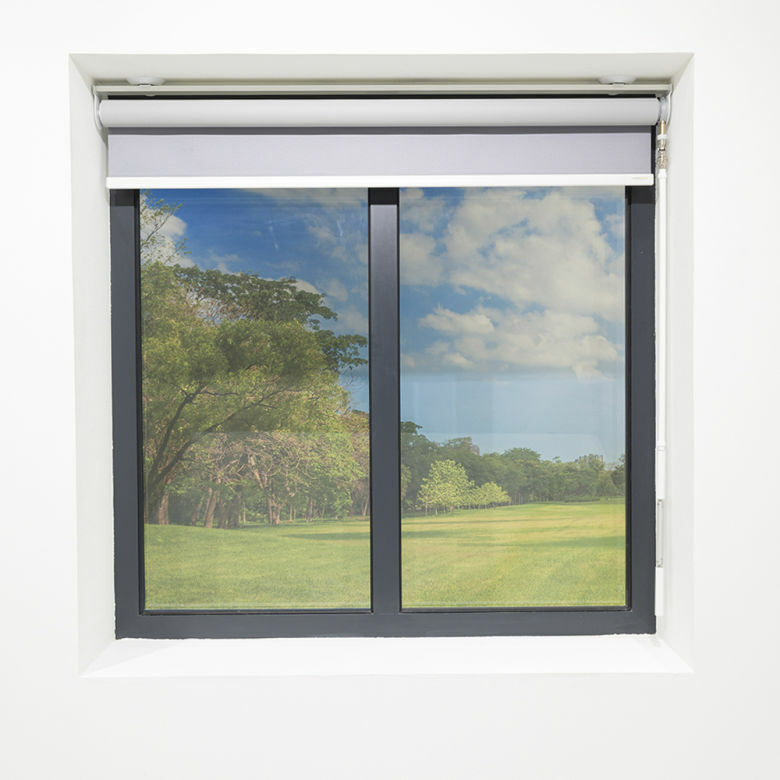 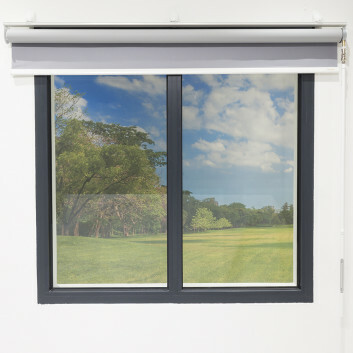 The YewdaleKestrel KR20C crank control roller blind features a 45mm grooved aluminium barrel and white metal universal brackets for face or top fixing. 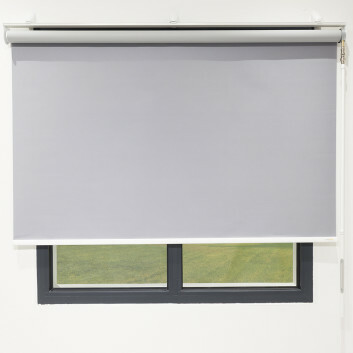 A robust 1:5 crank mechanism ensures smooth blind control, and incorporates a magnetic detachable crank handle. 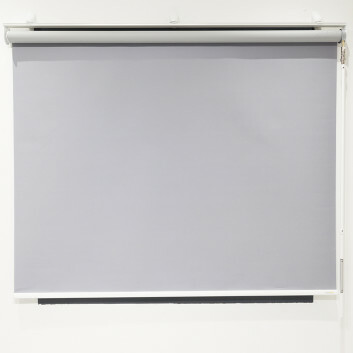 The fabric is locked into a groove in the barrel, and features a white Tear Drop aluminium bottom bar as standard. This system uses magnetic wall-fix/top-fix brackets. This ensures that, under excess load, the back bar separates from the bracket leaving no remaining points of ligature. 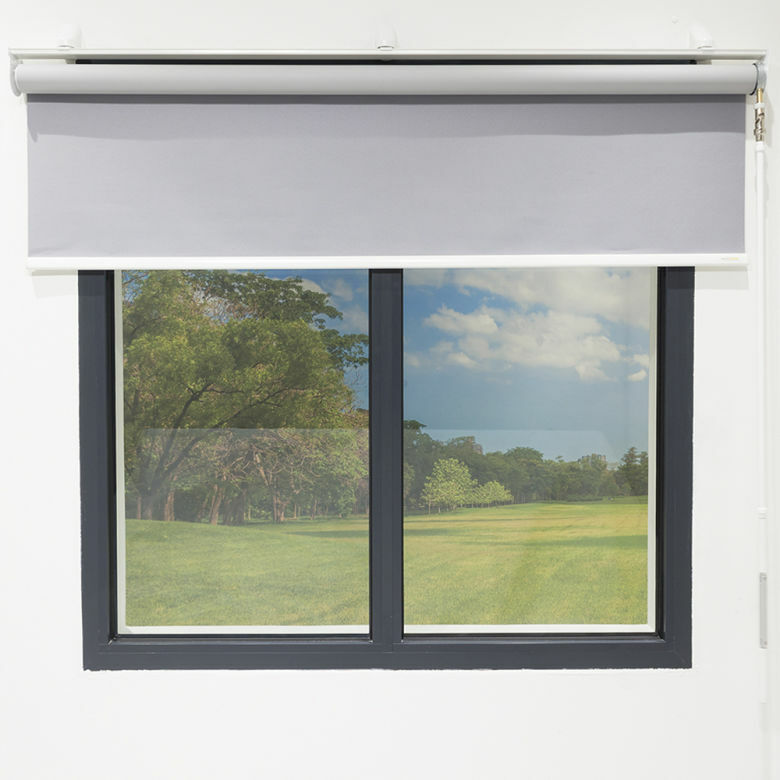 Durability and simplicity make the KR20C a good choice for a vast range of applications. 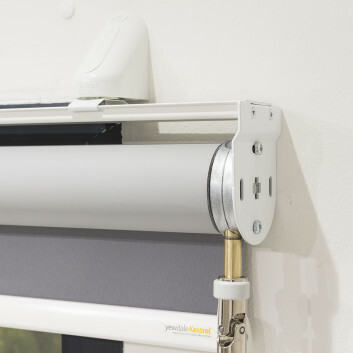 The magnetic detachable crank ensures the blind is vandal resistant and safe for areas where cords are a threat. 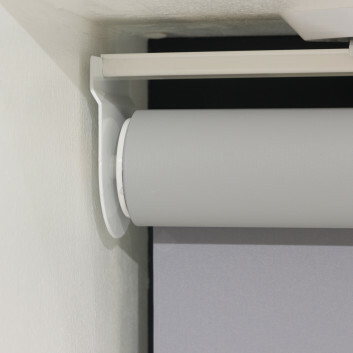 The fabric is locked into the barrel and bottom bar, supported by sturdy metal brackets and fitted to a white aluminium back bar, secured by magnetic brackets for 100% fail-safe anti-ligature functionality. 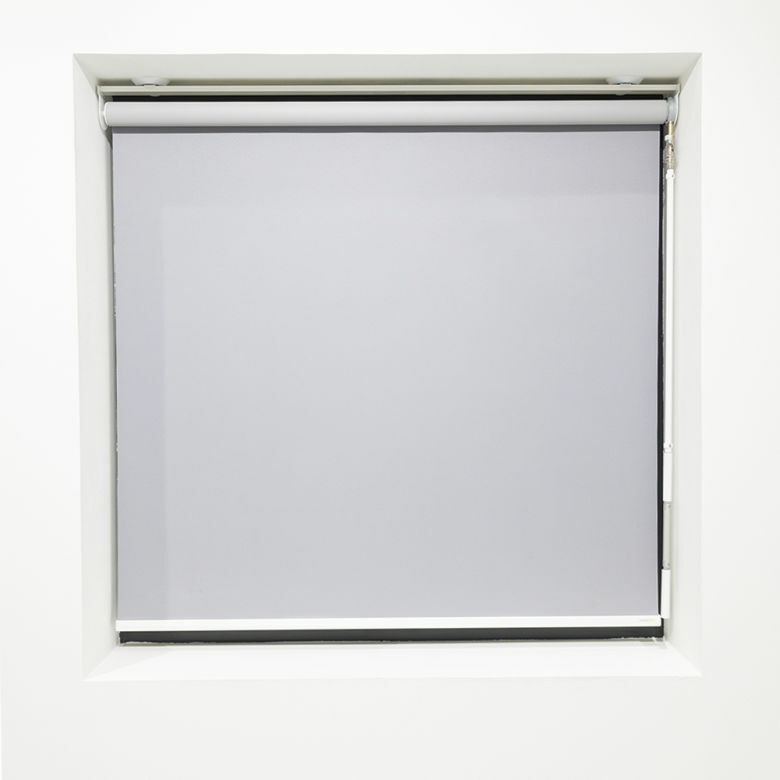 Bracket covers; Alternative bottom bars including fully fabric covered in aluminium or plastic, and aluminium Tear Drop in black or silver; Fixed crank handle. 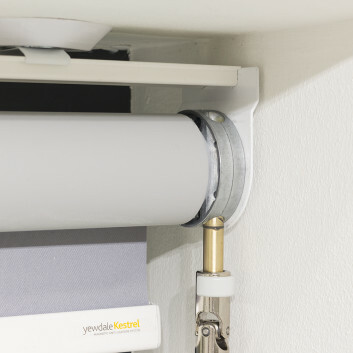 The magnetic anti-ligature YewdaleKestrel® KR20C crank control roller blind with magnetic detachable crank handle as manufactured by Yewdale, +44 (0)1268 570900. 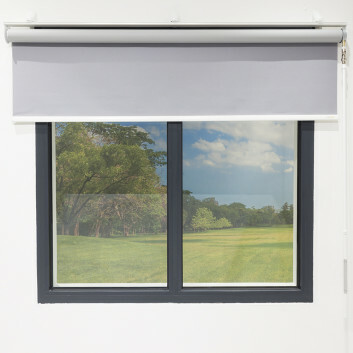 Flame retardant fabric from the YewdaleDefiant® range, locked into grooved 45mm aluminium barrel along with white Tear Drop aluminium bottom bar. 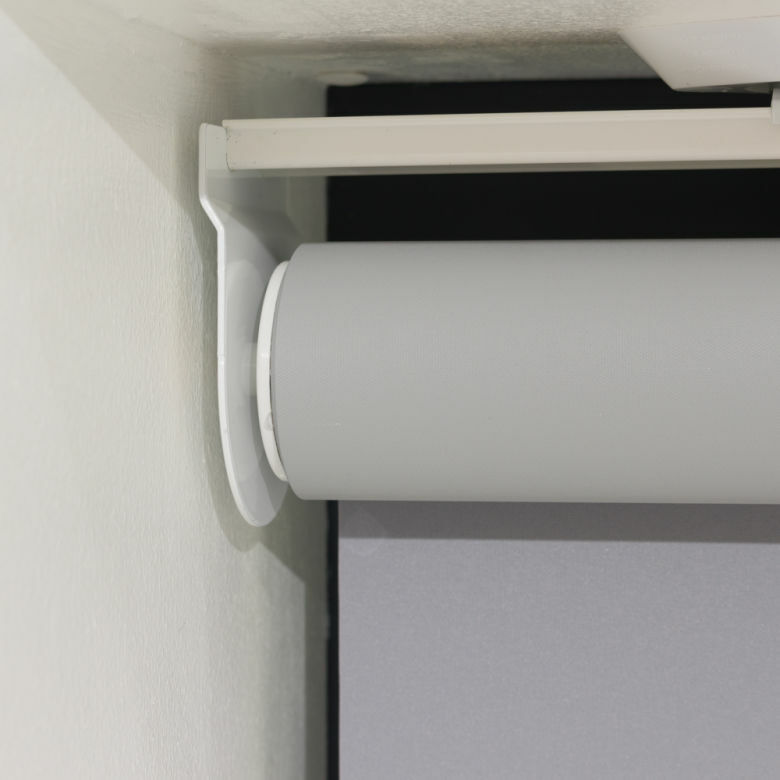 Robust vandal resistant 1:5 crank mechanism with pin end supported by white metal brackets and fitted to white aluminium back bar, secured by magnetic wall-fix / top-fix brackets spaced in accordance with manufacturers recommendations. Fitting to be carried out by trained and accredited personnel. 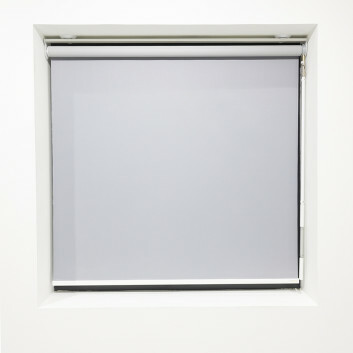 Based on fabric weight of 220g/m², e.g. 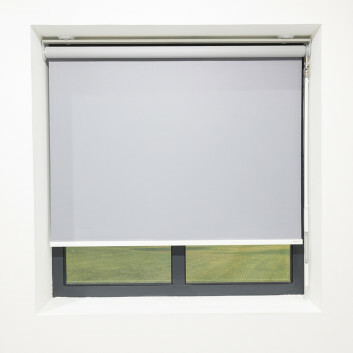 Thames. 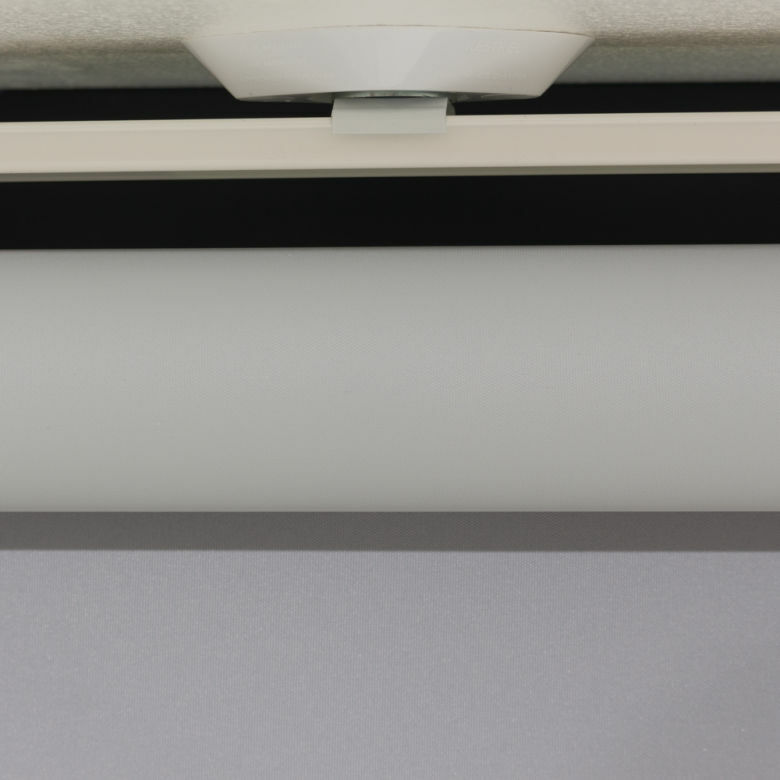 Sizes shown in millimetres unless otherwise specified. 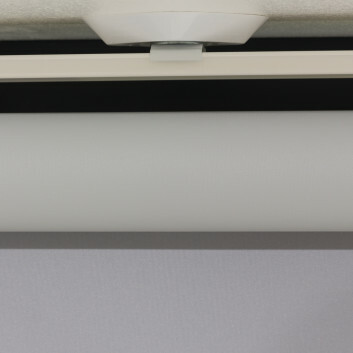 Use of heavier fabrics may require appropriate reductions. 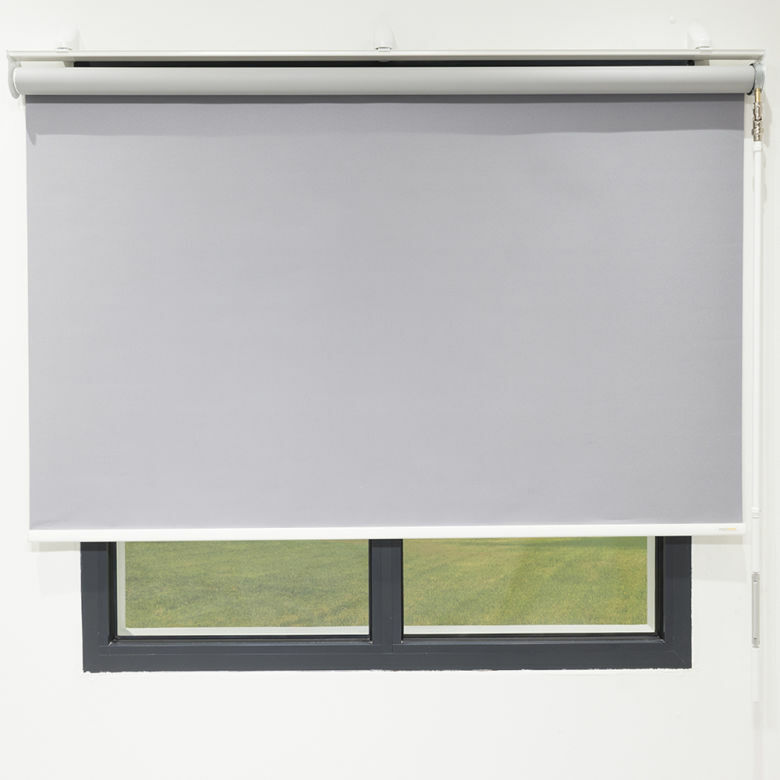 Where adjacent YewdaleKestrel® blinds are fitted, there should be no more than 2 brackets within a total distance of 700mm.